Max/MSP/Jitter is a visual programming language for music and multimedia. 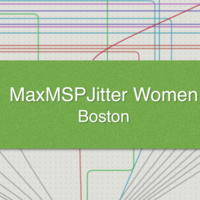 This event is intended to inspire women to excel with Max/MSP/Jitter and anyone attending for this purpose is welcome. This will be an informal meeting where you can show off your Max patches, get help with new patches, learn more about Max, or just hang out with others working with Max. All skill levels welcome. Monitor and sound system available. We are dedicated to providing an empowering experience for everyone who participates in or supports our community, regardless of gender, gender identity and expression, sexual orientation, ability, physical appearance, body size, race, ethnicity, age, religion, socioeconomic status, caste, creed, political affiliation, or preferred programming language(s).